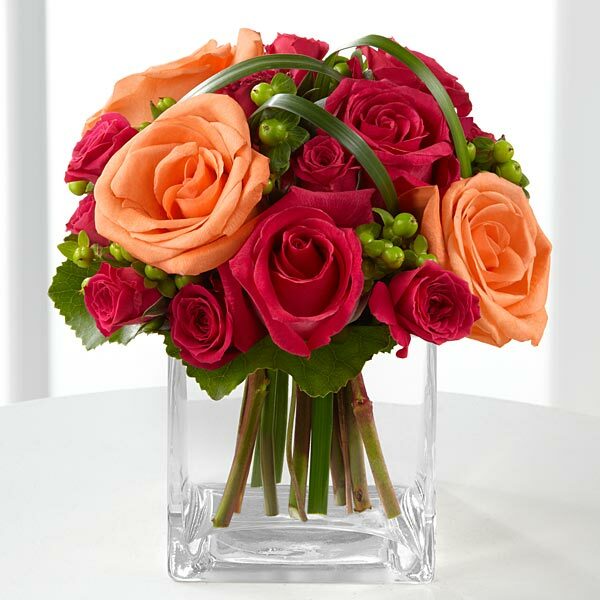 Deep Emotions Rose Bouquet to shower your special recipient with affection. 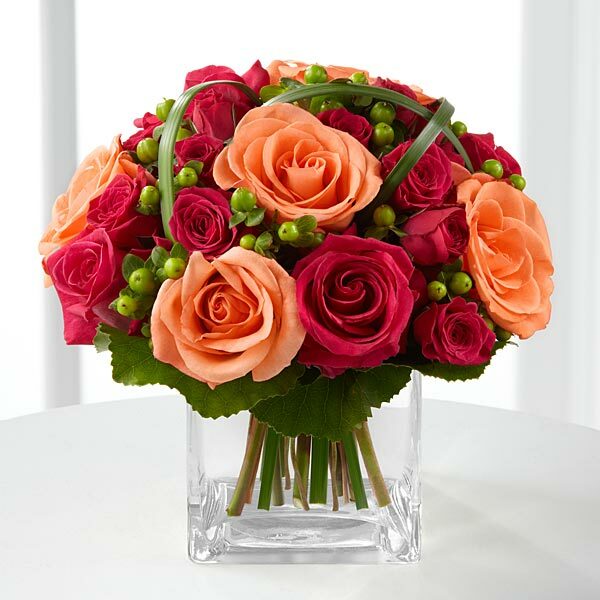 Hot pink roses and spray roses share the spotlight with orange roses, hypericum berries and lily grass arranged in a clear glass vase. 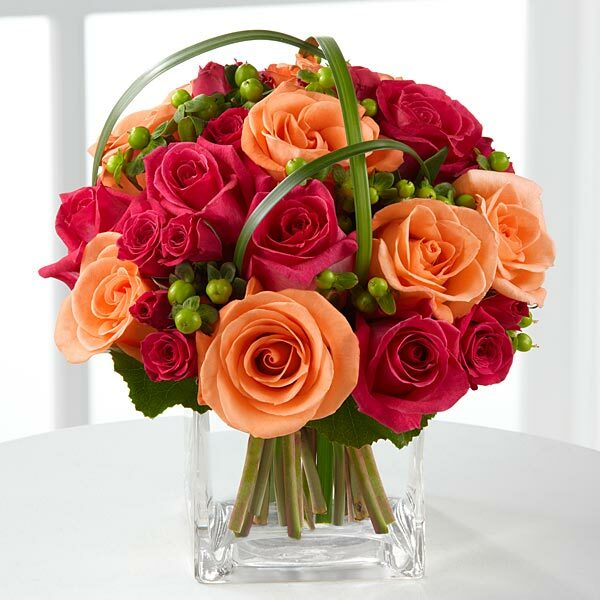 Freshly eye-catching, this bouquet evokes warm feelings with its charm. GOOD bouquet includes 7 stems. BETTER bouquet includes 12 stems. BEST bouquet includes 17 stems. Approximately 10"H x 8"W. .